Subcribe to our Weekly Newsletter to win an iPad Mini! 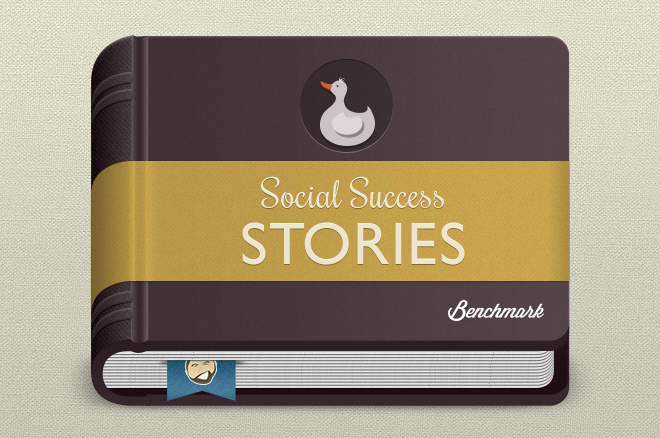 Plus follow along all week with our Social Success Stories. I’d love to tell you that when I started Austin Writes Music in 2009, it was because I had a grand plan for the future of music journalism, and I saw the details of a sweeping, romantic vision where I acted as Jann Wenner 2.0, creating my own Rolling Stone in digital form. But, really, I started my blog in 2009 as a class project for my final semester in college. Sure, I’d just come home from a Rolling Stone internship and probably had some New York City-summer stardust left in my eyes, but when I slowly started grinding out reviews, interviews and previews in my hometown of Austin, I quickly realized that building an audience was no easy task. Over time, as I wrote about every show and band I could track down, I started getting emails from publicists and PR folks. I’d ended up on some smaller lists, which helped get me comped tickets to shows. This was incredibly exciting to me. Here I was, a self-made blogger who just decided to start writing one day, and out of this passion project I’d created, I was starting to be respected as a legitimate writer in the music community I so adored. I still wasn’t getting press tickets for major festivals, but there was momentum building. One of my biggest breaks came thanks to Twitter, and the band Local Natives. Twitter was a fantastic tool, because unlike Facebook, even if someone wasn’t a personal acquaintance, if I felt they’d benefit from a story I’d written, I could tweet at them directly and make them aware of what I was writing. The community of Twitter has just always excelled at being an interactive medium, which is a huge advantage for writers. When my blog was just a gleam in an online multimedia professor’s eye, in early 2009, I happened to be leaning up against the fence of a now-defunct music venue, the Beauty Bar, trying to figure out what to do on a Wednesday night. A group of rowdy guys, who I later found out were in Voxhaul Broadcast, burst through the venue doors and chided me to go inside because they were playing on a bill with an amazing band called the Local Natives, and they were going on soon. I shrugged and wandered inside, figuring it’d be worth it to give it a shot. I stood with about 10 other people, most of whom were friends or relatives of the bands, and watched as this incredible indie band with gorgeous harmonies and tons of energy bowled me over. I was sold. Just over a year later, I saw the band again, this time selling out a much larger (and also now-defunct) venue, Antone’s, and I was so proud and so happy that this band I was lucky enough to stumble upon was enjoying the kudos they deserved. I was so proud, in fact, that I went home and wrote up my experience of their trajectory, and I posted it on Twitter, Facebook, and shared it through email, hoping to spread the joy. I had put up the post just before noon. A few hours later, my phone vibrated with a text. I peered down and saw that someone had pinged me on Twitter. I clicked on the text, and there before my eyes was a ping from the Local Natives themselves. They’d seen my post, presumably read it, and shared it with their tens of thousands of followers. It was about the closest I’d ever come to an Almost Famous-esque “I’m with the band” moment, and my indie rock loving heart exploded with joy. Not to mention, it remains my most-read post to date because of the retweet. What I’d want you to take away from all this is, if you find something you’re so passionate about that you simply must share it with the world over and over again, and if you put yourself out there both in the real physical world as well as the world of social media, your passion projects will always pay off. There will be days when you feel like you’re just jabbering into an echo-chamber, but there will also be days where a band you once took a chance on returns the favor, and reminds you of that visceral connection you can feel through cables and wires.